UPDATE Sep 13, 2017: Apple released the final version of iOS 11 to developers yesterday and I am sad to report that none of the issues in this post were fixed, so all of these problems will remain when iOS 11 is released to the public on September 19. Hopefully feedback from users will encourage them to fix some of them in future iOS 11 releases. iOS11 is currently still in beta and it’s impossible to know what the final product will be until it is released in mid-September, but based on the most current beta, I wanted to let Launcher users know about changes that will likely come with this new version of iOS if and when you choose to upgrade to it. Settings launchers will only launch the Settings app and no longer direct you to a specific screen like Wifi or Bluetooth settings. Several Apple built-in apps can no longer be launched. That list is: Camera, Clock, Contacts, Phone (can still launch phone calls, just not the app), Stocks, Voice Memos and Weather. Tapping on a launcher to make a phone or FaceTime call now prompts the user every time to make sure that they really want to make the call. Pulling down the notification center shows the Notifications screen every time even if the last time you had it open to the Widgets screen. Apps won’t launch properly the first time they are launched from the Notification Center due to a bug in iOS 11. I don’t expect the first two issues to change in the final version of iOS 11, but I am hopeful that there could be some change in the last three. Continue reading for more details on each change. I plan on updating this post if anything changes in upcoming versions of iOS 11. Back in March when submitting a bug fix, Apple App Review told me that I had to remove the Settings launchers from Launcher within one week or they would remove it from the App Store. This was unfortunate since the Settings launchers are extremely useful and were one of the most popular features of the app. I’ve received countless emails from users upset about their removal, but sadly it is out of my hands. The silver lining was that even though I had to remove the ability for users to create new Settings launchers, existing Settings launchers still continued to function properly. Unfortunately, in the latest beta version of iOS 11, the Settings launchers will only launch the Settings app and they no longer take you to a specific screen within the app. I suspect that this change was intentional and that this will be the case when iOS 11 ships in September. Many people have asked why Apple would want to get rid of this very useful functionality. The only reason they have given me is that the URLs used to get to specific screens within the Settings app are “private APIs” and shouldn’t be used. The App Store has always banned the use of private APIs and while a URL is not technically an API, App Review claims to be enforcing this part of the App Review Guidelines [2.5.1] in this case. From what I can tell this comes down to the fact that Apple engineers don’t want to bother with publishing a public API that can be used to get into specific screens within the Settings app, like they do in macOS. They created a way to do it on iOS with URLs, but they only wanted to use these internally for themselves and didn’t want third party developers to use them. Presumably they don’t think this is functionality is worth spending the time maintaining going forward so it’s just easier for them to ban its usage. As they did in iOS 10, Apple has again made it not possible to launch certain built-in Apple apps via their custom URL schemes. The list of affected apps are: Camera, Clock, Contacts, Phone (can still launch phone calls, just not the app), Stocks, Voice Memos and Weather. In iOS 10, a workaround was discovered for this change and for the last year Launcher users have been able to launch these apps. However, in iOS 11 Apple has fixed it so that the previous workaround no longer works. I don’t expect to find another workaround for this problem, so it seems that it won’t be possible to have launchers for these apps going forward. Note that you can launch most of these apps from the new Control Center in iOS 11, so not all hope is lost. But it is a hassle when you want to launch an app and you have to remember if it can be launched from Notification Center or Control Center. Starting in iOS 10.3, Apple added a security “feature” that required a user to confirm every phone call initiated from a third party app. Most Launcher users didn’t notice this change since they usually initiate phone calls from Launcher widgets and this new feature only affected phone calls initiated within apps. Starting in iOS 11, Apple has extended this “feature” to widgets as well. 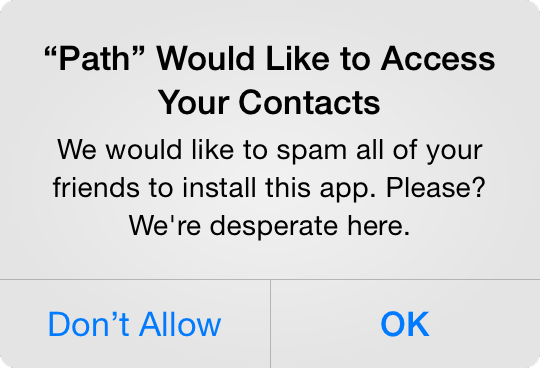 It makes sense that Apple doesn’t want nefarious app developers tricking users into making unwanted phone calls. However, they have implemented the fix for this issue without regard to its impact on user experience at all. 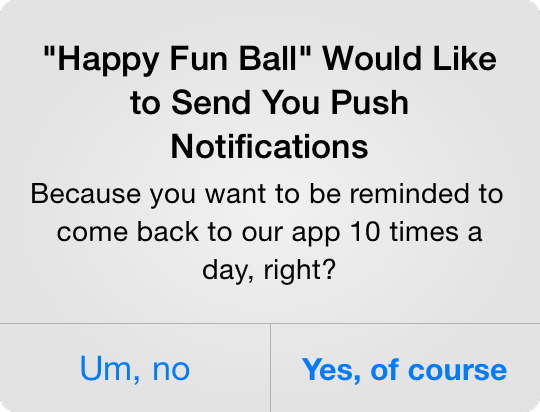 Starting in iOS 10, Apple added a confirmation prompt the first time a third party app launched another app. You see these pop ups now in Launcher when you tap on a newly added app launcher that says “Open in AppName?” They are annoying, but at least they only pop-up once and don’t show again for the launched app once you confirm by tapping the Open button. I filed a ticket with Apple asking them to update the implementation of this new phone call security feature in a similar fashion — only prompt the user the first time they make a phone call to a specific phone number. Once a user confirms that they really want to make that phone call, then don’t prompt them again. So far Apple has ignored this request and I don’t know if they will fix it before iOS 11 is released. I have hopes that Apple will actually make this fix more user friendly if they receive enough feedback from users complaining about its impact on user experience. So, if you are running the iOS 11 beta, please send Apple feedback in the Feedback app telling them how the implementation of this feature needs to be improved. As you may recall, Apple changed the behavior of the Notification Center in iOS 10 to always open to the Notifications screen which means that to get to widgets you now have to swipe down and to the left every time. 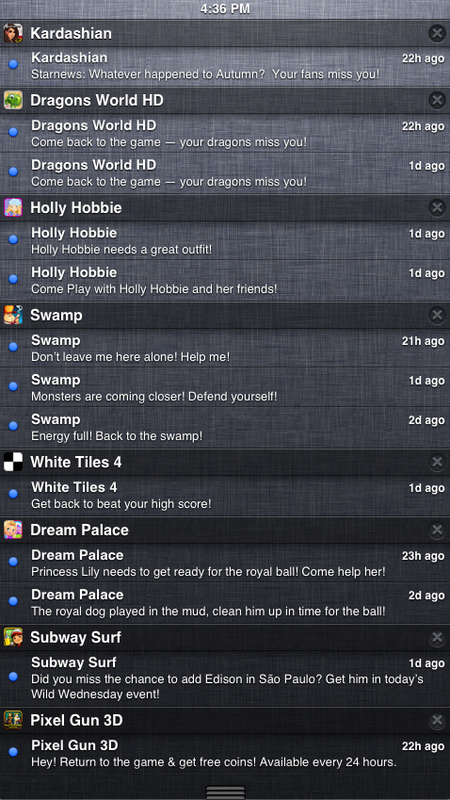 It had previously always opened to either the Notifications or the Widgets screen based on which was the last one open. Thankfully, Apple reverted to the older behavior in iOS 10.2 and fans of Launcher, heavy users of widgets, rejoiced. For some reason Apple has decided to always open the Notification Center to the Notifications screen again in iOS 11. Maybe they’ll change their mind again or perhaps this time it will stick. Feel free to send Apple feedback in the Feedback app complaining about the extra required swipe to get to widgets if you are running the iOS 11 beta. When you add a new app launcher for a third party app, iOS will pop up a dialog and confirm that you want to launch it. This dialog says “Open in AppName?” and if you tap “Open” then the app launches and the dialog doesn’t pop up again for that app. However, this behavior is broken for widgets in the Notification Center and on the Lock Screen in iOS 11 (but not in the widgets you access by swiping right from the Home Screen for some reason). When you tap “Open” in the dialog, nothing happens and that app doesn’t launch. The workaround is to launch it again from the widget and the dialog won’t pop up again and it will launch properly. iOS 11 is easily the buggiest iOS that Apple has released in years, possibly ever. I filed 9 different bugs with Apple that affected Launcher in iOS 11 and they fixed 3 of them. Some easily reproducible crash bugs were completely ignored. Luckily I was able to work around most of the unfixed bugs in the upcoming Launcher version 3.1. However, there is a bug that I cannot work around because it occurs outside of the Launcher app and widget. I hope that Apple will fix it soon and if you send them feedback letting them know of this bug, that may encourage them to finally get around to fixing it. So far every change in iOS 11 that affects Launcher is a negative one. In previous iOS upgrades they at least added some useful new functionality along with new restrictions, but so far I don’t know of any positive changes for Launcher in this coming iOS version. As always, the only way to avoid these negative changes is to to stay on iOS 10 as long as you can.